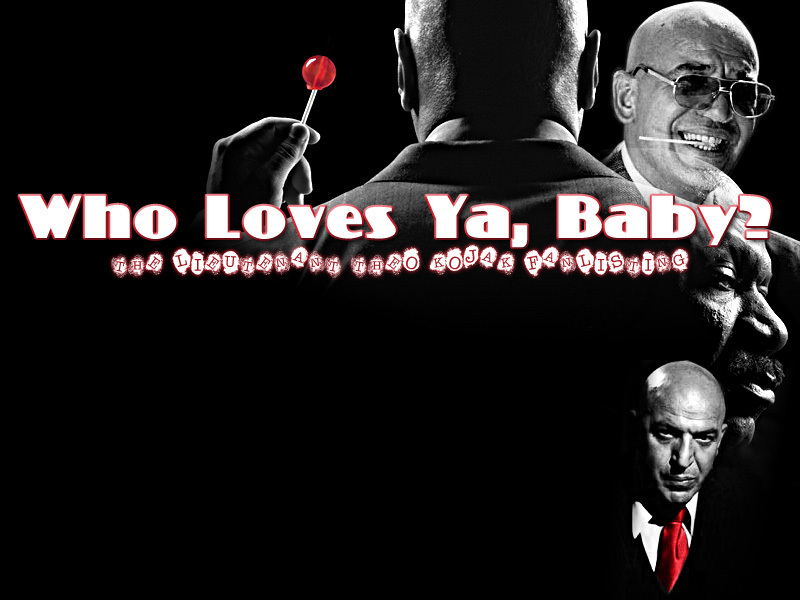 Hello and welcome to Who Loves Ya, Baby?, the approved fanlisting for Lieutenant Theo Kojak, as portrayed by Telly Savalas in the original series on CBS and Ving Rhames in the USA Network remake. Thanks to CodeGrrl for the NLConvert script. The fanlisting was designed by Azar, is maintained by Christina and hosted at Ink and Quill.